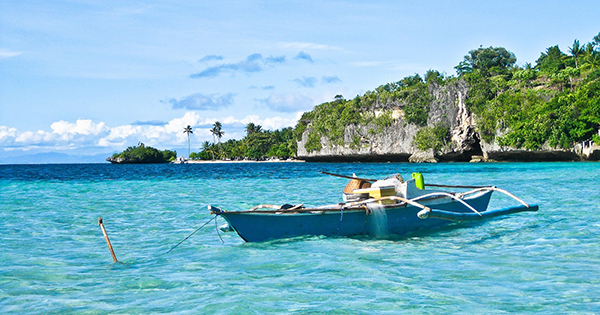 While all time famous Boracay Island in Aklan is a favorite tourist destination in Visayas, many are unaware that its only a small part of Panay – a triangular island in Western Visayas that is actually comprised of 4 provinces: Aklan, Antique, Capiz and Iloilo. In fact, Panay Island abounds in several other tourist spots that are also well worth your visit. #1 - Bakhawan Eco-park and Research Centre (Kalibo): a 220-hectare mangrove reforestation project created in 1990 in Kalibo, Aklan that features a 1.3-kilometer long bamboo bridge. The bridge takes tourists into the forest to see a sanctuary of birds and marine species. It also features a watchtower, canteen, picnic huts and more. #2 - Camina Balay Nga Bato (Iloilo): Camina Balay Nga Bato is a combination of Iloilo’s cuisine, lifestyle and customs. Visitors can expect to feel how a rich family in Iloilo lived one hundred years ago, in this modern era, because the house’s 6th generation owner still resides there. They can provide a guided tour, snack, and a souvenir on top of their famous Tsokolate E (chocolate), Pancit Molo (noodle soup) and other delicious meals. #3 - Malalison Island (Culasi): A superb island in Culasi, Antique, Malalison Island is like a smaller Batanes, with its rolling hills and friendly locals who will offer home stay for a fee, if you want to enjoy there overnight. Swimming into its cooling crystal waters is a delight too, next to rising up early in the morning to catch the captivating mountain sunrise view. #4 - Gigante Islands (Carles): Experience Iloilo’s best by touring photo-worthy Cabugao Gamay Island, where you can indulge in a smorgasbord of seafood dishes, so cheap and fresh you’ll definitely be satisfied! Your next stop is Bantigue Island, with its S-shaped sandbar, where you can have fun splashing and swimming as well as eating uber yummy plus affordable steamed scallops! Your third stop is Antonia Beach, where again seafood sensation called wasay-wasay is a must – try. Lastly, be at Tangke, a secret lagoon that is a cool pool deserving much swimming and frolicking. #5 - Malumpati Cold Spring (Pandan): A wonderful summer adventure awaits you at Malumpati Cold Spring in Pandan, Antique. Perfect for photos, swimming and bonding with loved ones, Malumpati Cold Spring is probably the coldest natural pool of water you can encounter in the Philippines. The use of this amazing body of water is not free, but requires just a very minimal fee. #6 - Guimaras Island (Panay Gulf): This beautiful small island province (pictured above) is located in the Western Visayas region, and is among the smallest provinces in the Philippines. Located in the Panay Gulf, between the islands of Panay and Negros, geologists say that this beautiful piece of land once formed one landmass with Panay.